The Executive Digital Audio Recording Pen - MQ72 is a powerful audio recorder that looks and works like a normal fountain pen. It records and stores up to 64 hours of crystal-clear audio. You can use it to record business meetings, lectures, live events, personal conversations or your own thoughts. Capture professional-quality audio everywhere you go with the Executive Digital Audio Recording Pen - MQ72. 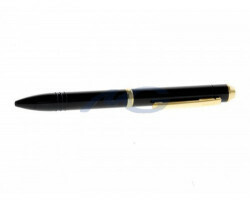 The Executive Digital Audio Recording Pen - MQ72 records smooth, clear audio in almost any location. It captures voices and sounds clearly up to 15 feet away. You don’t have to worry about dealing with cloudy or fuzzy audio. You can rest assured that you won’t miss anything important with the Executive Digital Audio Recording Pen - MQ72. 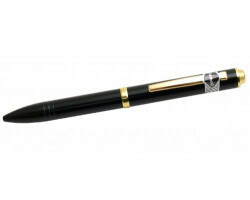 If you want to record audio discreetly, the Executive Digital Audio Recording Pen - MQ72 is a great choice. It looks and works like any other pen you might have lying around the office. You can keep it in the front pocket of your shirt, on the side of your purse or a backpack, or lying around on your desk. With its sleek, lightweight design, you can take the device with you everywhere you go. With the Executive Digital Audio Recording Pen - MQ72, you can start and stop recording without bringing attention to yourself. There are no red lights or beeps that will give you away. It doesn’t matter if you’re in the middle of a meeting or walking down the street, one twist of the pen cap and you’re ready to start recording. You don’t have to manually turn on the device to record audio. It comes with a voice activation feature, which means that the device will turn on automatically when there’s someone speaking nearby. Just leave the device in your office or on the conference table and it will record all of the important moments when you’re not around. You can preserve your storage space and you won’t have to scroll through hours of useless audio. The Executive Digital Audio Recording Pen - MQ72 comes with 1GB of internal memory and it can store up to 64 hours of audio. The device also features up to 12 hours of battery life that’s perfect for long meetings and all-day conferences. You don’t have to worry about the device dying or running out of storage space in the middle of the day. When you’re finished recording, just plug the device into your computer using the included USB cable and you can quickly manage and transfer all of your files. You don’t need to be near a computer to hear your audio files. The device features a headphone jack, so you can easily listen to your recordings on the go. It comes with a pair of headphones and a remote control that lets you navigate between your recordings. Just plug in the headphones and use the remote to find the file that you want to listen to. 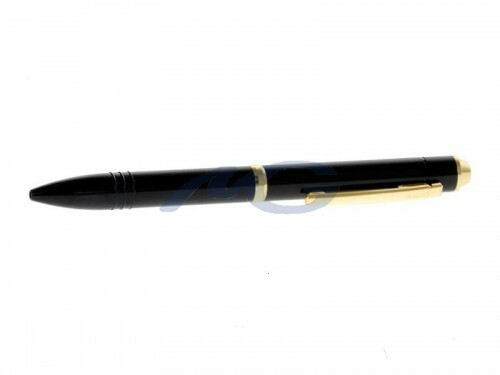 Powerful and easy to use, the Executive Digital Audio Recording Pen - MQ72 is the perfect audio surveillance tool. You can keep track of your meetings with colleagues, record your thoughts on the subway, or capture audio at a live event. Record all of the important moments in your life with the Executive Digital Audio Recording Pen - MQ72.